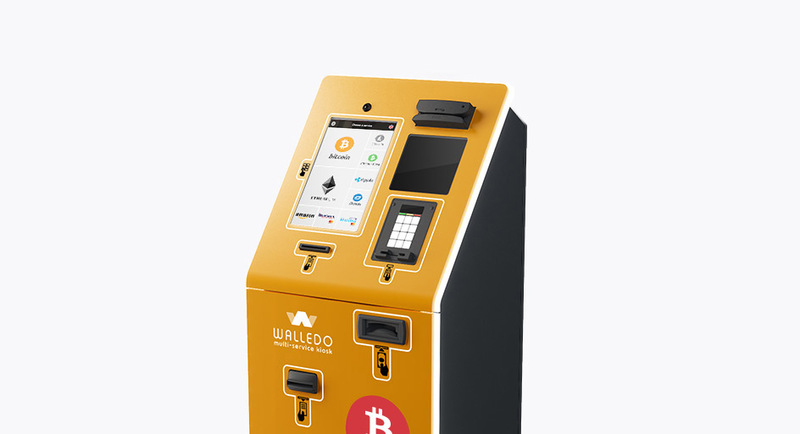 Walledo ATM combines all the advantages of a Kiosk and Bitcoin ATM. Device provides your customers the range of familiar and every-day consuming services. 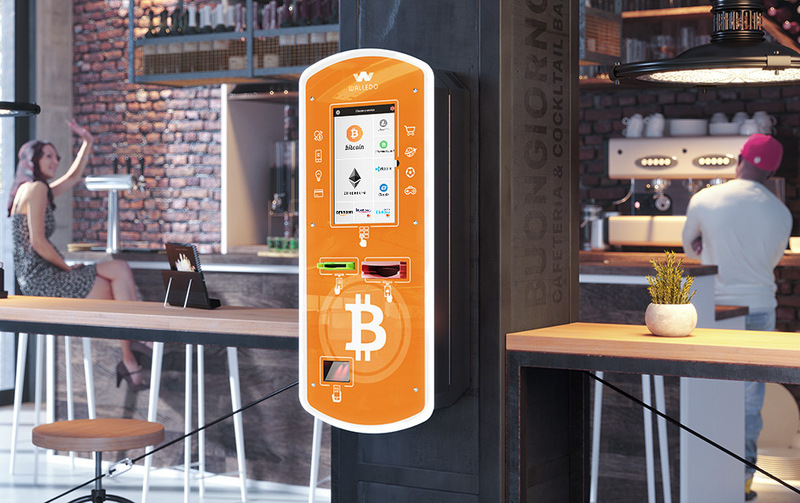 At the same time they have a simple tool for operating with Bitcoin and other most popular Coins. The wide range of equipment available for mounting at Walledo ATM allows to build and configure it for your special needs. 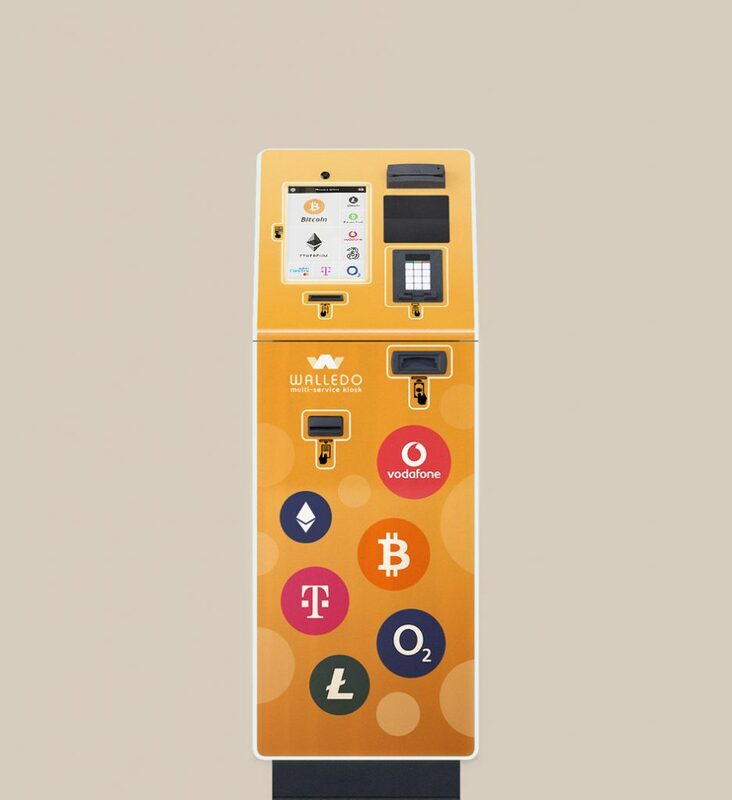 Additionally, the device cabinet could be branded with your ID and brand colors. Walledo ATM could be equipped with a cash recycler. 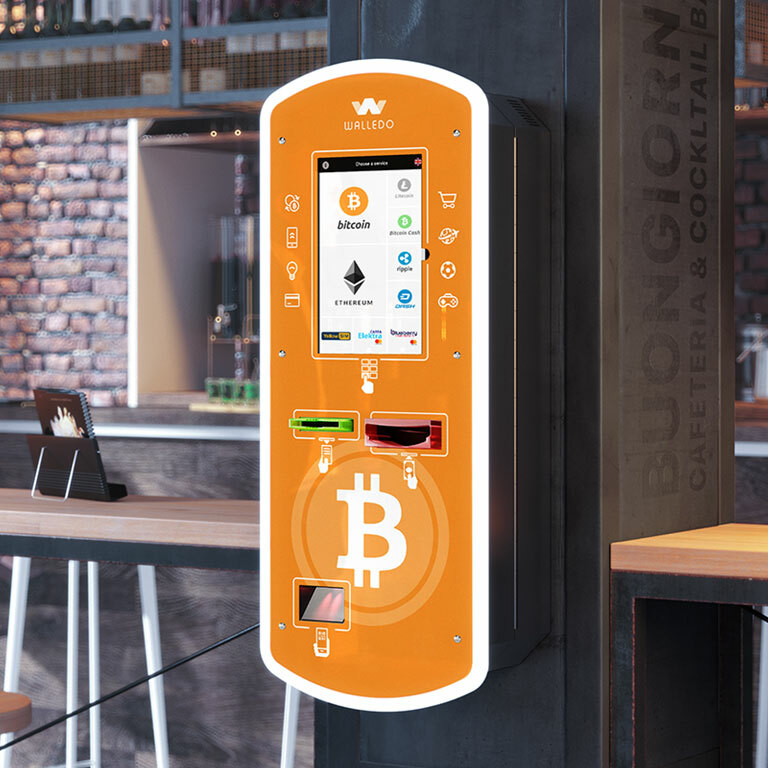 It allows to make cryptocurrency transactions in both ways. Change giving is also available now. 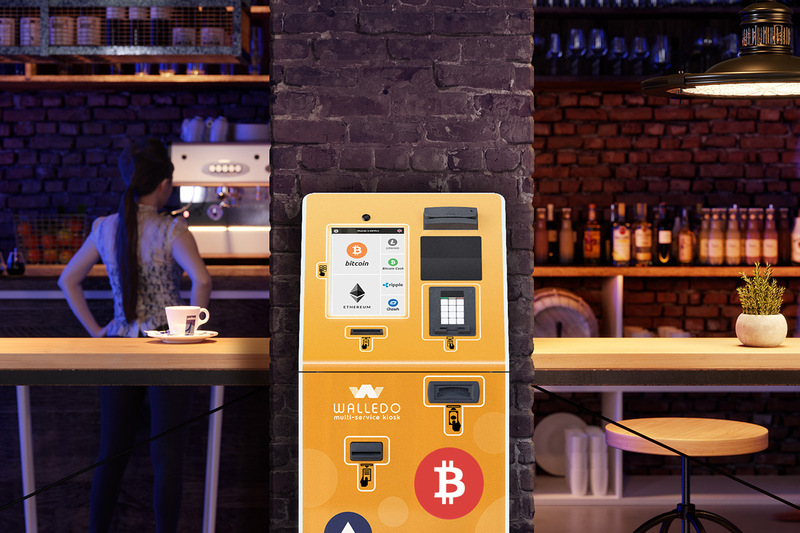 Walledo ATM is designed to comply with the regulators’ requirements for cash transactions. 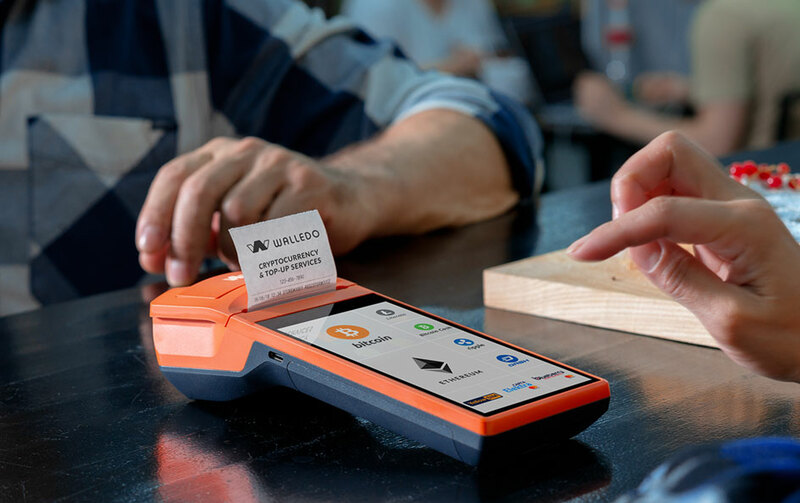 Device can be equipped with a simple scanner of electronic / machine-readable documents or with a full-fledged ID scanner for non-digital documents recognition. 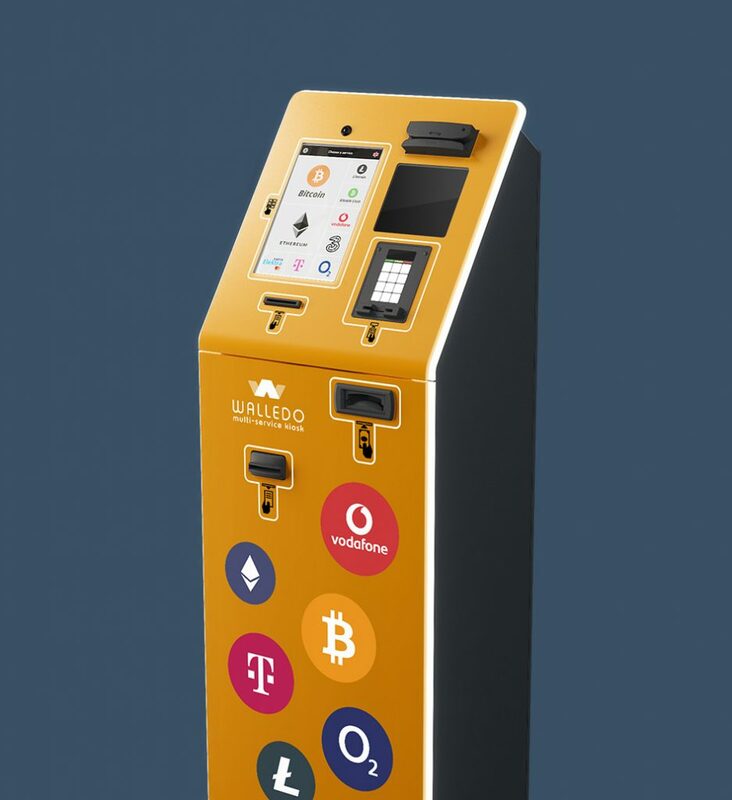 Walledo ATM can operate in a completely stand-alone mode. Bill-acceptor encashment and receipt printer refilling are the only typical maintenance operations. The encashment service area and technical service zone are separated. Also machine is equipped by online monitoring system for extra safety reasons and maintenance facilitation.